While the Mom Endeavors family is off enjoying their visit to Disney World, I’m here sharing a fun DIY Disney project to bring your vacation memories home. My husband, daughter, and I visit Disneyland frequently and get excited each time we think of our next visit. Last month we spent a few days in the Huntington Beach area and were able to spend an entire day in Disneyland. I brought home a couple of park maps and turned them into placemats. The placemats were very easy to make and have given us hours of conversation at the dinner table. Measure and cut two pieces of contact paper large enough to cover the entire map. Cover each side of the map with contact paper and trim the edges. Add your favorite Disney plate and you are ready for a fun family dinner! My daughter has also been using the placemat while playing with play-doh. 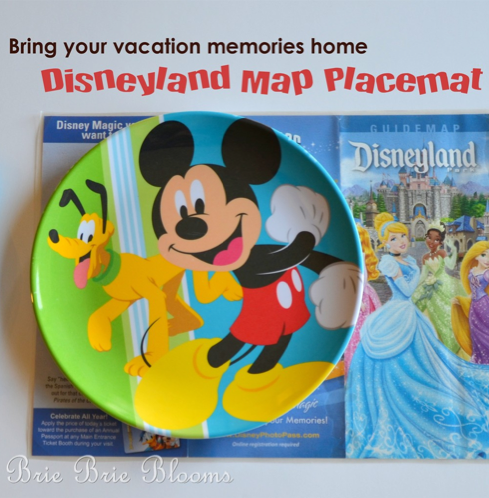 These easy placemats can be made with any attraction map to preserve your vacation memories. Disney has a big selection of park maps and you could easily have different placemats for every holiday or season! What map would you like to turn into a placemat? Heather, a regular contributor here on Mom Endeavors, is a preschool teacher and mommy to one sassy lit­tle girl. 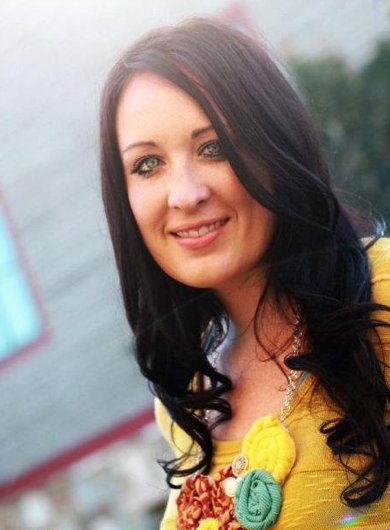 She shares fam­ily activ­i­ties, class­room ideas, snacks, and kids crafts at her blog, Brie Brie Blooms.